James Luther is Associate Professor at Vanderbilt Medical Center, where he is Director of the Hypertension Clinic in the Clinical Pharmacology division. He completed residency, Nephrology, and Clinical Pharmacology training at Vanderbilt prior to joining the faculty there. His research program investigates the role of aldosterone, epoxyeicosatrienoic acid (an arachidonic acid metabolite), and related hormones in the pathogenesis of hypertension and diabetes. This year, the world’s number one killer takes center stage to highlight the latest debates in hypertension. First, the debate rages over which version is best, the US Guideline (AHA/ACC et al, et al, et al…) or the EU Guidelines (ESC/ESH). Next, the panel highlights recent advances in diagnosis and pathogenesis of primary aldosteronism, the most common secondary cause of hypertension. The US Guideline has opted for broad applicability and simplicity, setting a generally aggressive target for much of the population and once again redefining hypertension at a default of 130/80 mm Hg. The targets in the EU Guidelines are somewhat more complex, dependent on age, diabetes status, kidney function, and cardiac status, and generally keeping the default for defining hypertension at 140/90 mm Hg. Both guidelines were developed by excellent panels, and both provide a rationale for setting their relative targets combined with summary reviews of the evidence base. Not entering the fray are competing guidelines from Canada, which are similarly well thought out. Regardless of the expertise and extensive discussion, clinicians continue to debate whether the targets are appropriate. With regards to targets, the EU Guidelines probably have broad appeal to the practicing clinician, because it is much easier to get patients to goal. SPRINT denialists do not accept 130/80 mm Hg, and many physicians caring for elderly patients are uncomfortable aggressively targeting their blood pressure. That doesn’t make it right, and this gain is also offset by the complexity of the decision-making process. The US Guideline is appealing due to the simplicity of the default target, but the difficulty in reaching this goal similarly dings these guidelines in the eyes of the practitioner. In a complex and busy world, it is often best to keep things simple, and clinical practice will always be guided by clinical judgement by individual practicing physicians. The US Guideline pushes for a generally more aggressive target, supported by SPRINT, but allows wiggle room for the individual physician to discuss and set targets with their patients. Given that hypertension control is also poor in general, the new guidelines should win in order impact cardiovascular disease. In summary, USA, USA, USA!!! Next, primary aldosteronism takes the court, with Hyperaldo Diagnosis vs Hyperaldo Treatment. 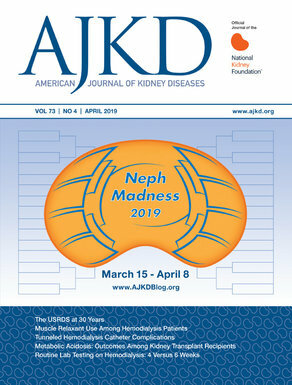 This bracket is particularly strong given the importance of recognizing this cause of secondary hypertension, which affects up to 20% of resistant hypertension, responds poorly to standard treatment, and is associated with increased risk of cardiovascular events. Furthermore, identifying these patients for specific treatment with either mineralocorticoid receptor (MR) antagonism or surgery can markedly improve blood pressure control and reduce pill burden. Why were these two aspects of primary aldosteronism chosen, and who should prevail? Our understanding and ability to diagnose the cause of primary aldosteronism has advanced dramatically over the past decade with the application of whole-genome sequencing to adrenal tissues. We now believe that the causative gene can be identified in ~95% or more of these tumors. Second, this knowledge has since led to the identification of mutations in the same genes in multiple related familial syndromes. Cutting-edge studies suggest that clusters of clonal adrenal glomerulosa cells (APCCs, or aldosterone-producing cell clusters) may accumulate with age and contribute to the development of primary aldosteronism. The approach used to identifying these somatic mutations in adrenal tumors is the poster child for next-generation sequencing in benign tissues, an advance at the time which was sufficient to warrant publication in Science. These mutations involve potassium and calcium channels that can be targeted with known or new drugs in the near future. In fact, initial attempts demonstrate that azithromycyin inhibits one of these mutations, an unpredictable finding which could allow repurposing of this drug or a derivative for hypertension in the future. There have also been remarkable advances in the treatment of primary aldosteronism, highlighted by the PATHWAY-2 trial which demonstrated the superiority of spironolactone for treatment of resistant hypertension. PATHWAY-2 confirmed our suspicions of the superiority of MR antagonism in resistant hypertension, an area which badly needed that evidence. At the same time, several studies have emerged which suggest that adrenalectomy for appropriate patients may provide benefit over medical treatment. Another important point, but which was not touched on in the NephMadness scouting report, is the importance of adequate MR antagonism. In follow-up after medical treatment, Hundemer et al found that patients with persistently suppressed renin activity had increased rate of cardiovascular complications compared to those who achieved detectable renin activity (>1.0 ng/ml/hr). These studies are compelling and have changed my clinical practice, but they remain observational, which diminishes their impact and competitiveness in the regional bracket. So who should win this matchup of primary aldosteronism? I am generally influenced by advances which help us understand and treat disease, and a remarkable amount of progress has been made here. As I’ve suggested above, the unique advances in the diagnosis (genetics) of primary aldosteronism should be quite significant to basic scientist and clinicians alike. In summary, diagnosis of primary aldosteronism should have a compelling argument to compete and to advance deep into the tournament. It has my stamp of approval to emerge out of this initial round and on to the Saturated Sixteen.